For a day-to-day report of this project, please visit our Project Chronology page. Fasten your seatbelts, as we are in for a ride for the next couple years, as this project serves as a test case for the policies and practices of the City of Vancouver and of the entire construction industry. We invite you back often here for video, documents, photos, chronology of this project and the companies behind it. Video from July 2013. Neighbours have been jolted awake in the middle of the night about once a week since Westbank/Peterson/Icon installed remote-controlled electronic surveillance cameras and automatic alarms facing the public streets at two corners of the construction site. In one case, a suspicious-looking skunk was seen racing away from the scene. The security guard arrived thirty minutes later, after hundreds in the neighbourhood continued to be treated to the alarm and flashing lights. These late night alarms began after the two sets of four surveillance cameras were installed. Due to their positioning, some neighbours are concerned that the companies involved may be able to peer into nearby properties and windows. The system has a motion sensor triggers that sets off the lights and alarm, connected to a central monitoring office where operators are able to make threatening announcements to the offending skunks or cat that wander onto or near the site. People have a right to ask if this system complies with provincial privacy legislation, whether it is appropriate for a densely-populated residential neighbourhood, and why the companies chose to install it here. This robo-cop type of surveillance system does not appear to be commonly used in other construction sites. Is it another example of Westbanks’ attempts to pad its profits at the community expense? People versus machine, in the dark on a Saturday night, March 9, 2013. Woman confronts excavator and wins. Check back for announcements. We will be holding street corner briefings. In other projects, good contractors have actually met with neighbours to present their construction schedule, answer questions, and explain how they will be respecting the community. So far this has not happened at 1401 Comox. Peterson Investment Group actually has a special web page for its hotel guests at Carmana Plaza — informing guests about disruptions from a tower construction project next door. The West End residents should expect the same level of courtesy here, in one of the mostly densely populated residential communities in Canada. More video of Westbank’s excavator working on an otherwise lovely evening, March 9, 2013. The Vancouver Noise Bylaw permits this until 8 pm, six days a week, and Westbank often goes to the limit. The Bylaws much change. So far, Westbank has violated city bylaws many times with this project. City staff are unable to monitor carefully, so it is up to citizens to know the regulations, monitor and report to the City. And we hope that beyond staying just within the law, the company, which has numerous high-profile projects already approved or in the pipeline in Vancouver, will demonstrate good neighbourliness and show the host community it is capable of the best behaviour and best practices. Future project approvals by City Council should be conditional on clearly written guidelines and commitments to respect the community. So far, wherever there has been a choice, Westbank has chosen methods that cost the least but have the worst impact on the neighbourhood. For example, smashing concrete onsite with a 5 tonne wrecking ball instead of carrying it away for handling offsite. And the particular shoring method chosen by Westbank to reinforce the sides of the excavation hole creates the maximum noise but saves on corporate costs and boosts profits. While machines work and create dust, no workers are spraying down the dirt to keep the dust down, though this is common practice elsewhere. Parents nearby are reporting that their kids’ allergies are flaring up seriously. Neithbours have reported a dramatic increase in dust in their apartments far above the ground. Demolition of the 30-year-old church building happened in June 2012. Excavation of the site started in January 2013. The project is expected to take a couple years until completion. The property owner, contractors, and host community are going to have to get to know each other. The Mayor and Vision Vancouver councillors who approved the project need to get feedback on the impacts of their decisions. Complaints are handled through a system that takes a few days to get any response from City staff. Ground vibration, noise, traffic, and odours from the site are not being monitored. There is no systemic arrangement for protecting the livability of the neighbourhood. The contractor (ICON) and Westbank have no monitoring equipment on site for any of these construction impacts. Neighbours are left to report disturbances and annoyances individually on an incident by incident basis. Local residents have had confrontations with workers. Renters have moved out of nearby buildings, leaving suites empty while the owner loses revenues. Owners have given up, sold and moved out of the community. Others are considering doing the same. Elected officials and public servants at City Hall probably have no idea that all this is going on. But the community feels it every day. Literally. The city’s regulations are inadequate. The industry practices are biased against existing communities. The profits are private. The costs are public. This must all change. Video of big trucks turning at 1401 Comox. Note that this is a traffic-calmed, densely-populated residential neighbourhood. Right beside the site is Gordon Neighbourhood House, which hosts many infants, toddlers, children, parents, and seniors each day in a wide range of programming year round. Most users get there on foot, many of them going right past the construction site, forced to cross the lane where tandem trucks pull in, make three-point turns, back in, load up, then pull out. Idling diesel trucks often wait in twos along the side street. A once–peaceful mini-park is also right beside the site, used year round. What measures have Westbank and the City of Vancouver taken to ensure that no one is injured or killed by the thousands of truck trips from now until project completion in 2013? Let’s hope no one gets run over, like the tragic accident in the Toronto area on March 8, 2013 when a five-year old girl was killed by a garbage truck turning. Mayor and Council have an obligation to protect safety of all citizens. Write mayorandcouncil@vancouver.ca if you have concerns and questions. NEW: CONSTRUCTION MATERIAL FALLS FROM BIDWELL/DAVIE TOWER. In a wind storm on March 20, debris fell to the street from the tower under construction at Bidwell and Davie. This is on the former 1215 Bidwell site of Maxines, now to become The Alexandria, a 21-storey tower, owned by Millennium and marketed by Concord Pacific. See coverage here http://www.news1130.com/2013/03/20/glass-shattering-onto-davie-street-alarms-passerbys/. The incident caused damage on the street, but fortunately no people were injured or killed. Wind storms are no surprise. What did Millennium/Concord and their contractor do wrong to expose the neighbourhood to a potentially fatal accident? Will they compensate the City of Vancouver (i.e., taxpayers) for the costs of responding to this? Will they compensate businesses that had to close temporarily? Do City bylaws currently protect the people? Or the construction industry? These are more questions for the campaign to reform City bylaws. This incident proves that people living at or passing by tower construction sites are inevitably exposed to risk of injury and damage. March 9, 2013 marks Day One of a people’s campaign to transform Vancouver’s noise and building bylaws — to better protect the health, safety, and quality of life of citizens living near demolition and construction sites. We encourage neighbours near every major construction site to set up a blog to share information among neighbours, and compensate for the lack of communication and engagement from the City, property owner, and contractors. Anyone is free to copy from this site and make improvements. We also encourage inter-connection among such initiatives. We are witnessing system failure. It is really only by working together that neighbours are able to look after the livability and quality of life in their own neighbourhoods. This case at 1401 Comox is a poster child for many flaws and biases in the current consultation, rezoning, development, and construction paradigm in Vancouver. Vancouver’s regulations are decades out of date, and severely substandard when it comes to balancing the interests of construction companies versus the interests of residents in communities. The Westbank/Peterson/Henriquez project to build a 22-story tower at 1401 Comox, on the former site of St John’s Church, is a test case, a poster child, that will bring in some of the region’s biggest developers and most prominent architects, the top industry organization (Urban Development Institute), politicians and City staff. Legislation will be improved. Industry guidelines and company practices will have to change so that Vancouver can one day claim it is a world leader in best practices for protection of its citizens and neighbourhoods. Today, we are far from that spot. Vancouver’s West End is currently undergoing a community plan, to guide development here for the next several decades. Official information is at www.vancouver.ca/westendplan. Though it has not been discussed publicly, the City reportedly has plans to add thousands of new residents here. The Downtown Eastside, Grandview-Woodland, and Marpole are undergoing community plans too. Major policy text will be nearly completed by the summer of 2013, with only minor tweaking before policies are adopted by Council in autumn 2013. The West End has the highest population density of any neighbourhood in Vancouver. This is a mature, existing community — unlike Yaletown and Coal Harbour where massive development came to what was previously industrial land. Should Vancouver Mayor and Council introduce amendments to Vancouver bylaws to respect communities better? Is special consideration needed for densely-populated communities? Should the industry engage in dialogue with communities to develop a best-practices guide that goes beyond the minimum regulations encoded in the Noise Bylaw and Building Bylaw? Westbank Projects Corp. is one of the most favoured developers in the Vancouver, with many major tower projects already approved, now under construction, or awaiting approval. Now in the pipeline for approval is one at 2220 Kingsway. Just approved was a precedent-setting tower in Chinatown on Main Street. One well along the way is at 1569 West 5th Avenue in Kitsilano. Oakridge Mall renovation. Telus Gardens. The B.I.G. tower being proposed for Beach and Pacific, beside an off-ramp of the Granville Bridge. More towers at 70th and Granville. Another at 1412 Howe Street. And many more. This company’s CEO, Ian Gillespie, can do better to show his ability to respect the communities that are home to his projects. His financial partner, Ben Yeung of Peterson Investment Group, and Gregory Henriquez, architect in many Westbank projects, also need to be involved in making positive change happen. As a leading developer in Vancouver and guest in so many neighbourhoods of Vancouver, naturally the firm will be proud one day to have written policies and guidelines in place making it a world leader in every aspect of neighbourhood engagement. But a lot of work remains for everyone. And only the public really has an inherent incentive to make this all happen. So let us begin. Should City Council make future approvals conditional on better behaviour in current and future project applications? Absolutely, yes. Write your elected officials at mayorandcouncil@vancouver.ca and let them know what you think. These issues need to go to the top. No construction noise is permitted on Sundays or holidays. Permission can be granted for noise outside of these hours for special circumstances. Concerns about noise? Call the Noise Hotline at 604.873.7753 (or 604.717.3321 after 5pm). For other concerns about a construction site, file a complaint with the 311 Call Centre (604.873.7000) and ask City staff to investigate. For general or specific questions about City Zoning or Building by-laws, call the Telephone Enquiry Centre at 604.873.7611. Safety. If you observe anything at the site that concerns you about worker or public safety, contact WorkSafeBC at 604-276-3100, or e-mail ssquery@worksafebc.com. Website is http://www.worksafebc.com/. To inquire or report, WorkSafeBC requires the address, company and specific concern. The address here is 1401 Comox Street (and 1061 Broughton Street), Vancouver. Companies are Westbank Projects Corp. and ICON Pacific Construction Corp. The public has a role to play in watching out for any dangerous activity and can help ensure that no accidents happen by reporting anything that seems to be of concern. (1) If practicable, work must be arranged to prevent passing a load over any person. (2) A crane or hoist operator must not pass a load over a person, unless no practicable alternative exists and then only after the person has been warned of the danger by an audible alarm or other effective means. (3) A person working at a workplace must not stand under or pass beneath a suspended load. Complaints about idling vehicles (e.g., trucks waiting near a construction site) are handled by the Parking Enforcement branch. Call 311 immediately if you believe a construction vehicle is breaking a bylaw. It is illegal to idle a vehicle for more than three consecutive minutes in a 60-minute period, or while unattended and unlocked. Up to five tandem trucks related to the 1401 Comox project can often be found idling at one time — on Davie Street between Jervis and Broughton, and on Broughton, or on the lane. Odour concerns should be directed to Metro Vancouver’s 24 hour line at 604 436 6777. Metro Vancouver has jurisdiction over air quality. Construction can go on at any time as long as it doesn’t generate noise. However, if noise becomes excessive, a complaint may be submitted. The info on the following page is for both citizens and construction firms: http://vancouver.ca/home-property-development/construction.aspx. 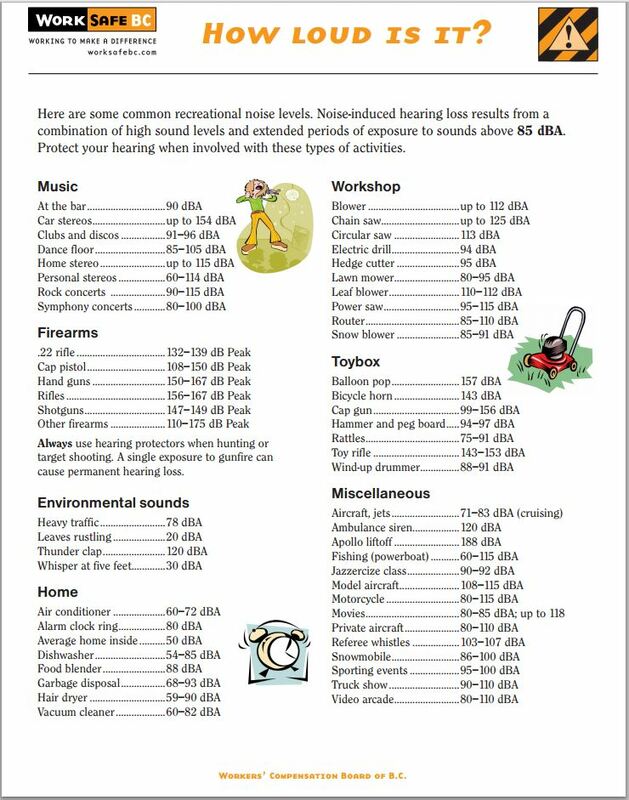 Specific noise level ranges for mechanical equipment are available on this page: http://vancouver.ca/files/cov/mechanical-equipment-info-sheet.pdf. Staff can take your call from 7:00 am to 10:00 pm, 7 days/week, 365 days/year (including holidays). The City offers interpretation services in over 170 languages. Everyone is required to comply with the City’s parking regulations. Large multi-year projects bring many workers into a community. It is the property owner’s responsibility (Westbank Projects Corp. and Peterson Investment Group) to ensure that all workers and contractors comply with regulations. In some cases, they might have to secure paid parking for crews, or transport workers in by crew bus. If you believe they are violating regulations, the City at 3-1-1 to report or inquire. Commercial plates do not exempt vehicles from resident parking area restrictions. Reference: https://vancouver.ca/streets-transportation/residential-parking-permits.aspx Note that contractors are eligible to obtain a daily parking permit for $5.60 per day (https://vancouver.ca/streets-transportation/temporary-permits.aspx), but only for working on “occupied residential units,” not buildings under construction. Large property owners make big profits from development. They should not be able to pad their bottom lines by taking up parking spots from local residents and by violating regulations. As the City does not have enough staff to monitor this, it’s up to the public to report violations immediately. Neighbours have reported cracks appearing in walls in nearby buildings, likely tracing back to earth tremors and ground vibrations caused by work at 1401 Comox. People are encouraged to document any damage with time-stamped digital photos, and to keep notes of any damage observed. Damage has also been noticed on nearby public sidewalks. “15. No person shall, in or adjacent to residential premises, but not including a street, make or cause sound or noise resulting from construction the continuous sound level of which exceeds a rating of 85 on an approved sound meter when measured at the property line, of the parcel of land where the construction is taking place, that is nearest to the point of reception of the sound or noise. Complaints about construction noise are followed up on an individual basis. If you feel that there is an activity occurring on this site which is exceeding this threshold during these hours you can file a complaint through 311 and a Property Use Inspector will attend the attend the site with a noise meter to measure the level of the noise from this activity. When making any complaint you can request a followup call from the inspector to discuss their findings. If there is construction noise occurring outside of the permitted hours, you should call the police non-emergency number. A decent sound meter costs about $75. Here is a sound meter app you can use on an Apple product. https://itunes.apple.com/us/app/soundmeter/id287615105. $19.99 Download. Works on an iPhone and iPad. Description: SoundMeter turns your iOS device into a handheld sound level meter (SLM) with support for exponential-time-weighted sound level (Lp) and equivalent sound level (Leq) measurements with various time and frequency weightings. The built-in signal generator tool can be used for generating calibration test tones, noise, chirps, or other periodic. You in the community are encouraged to ask yourselves if the above bylaws are acceptable. Are the hours acceptable? Is the 85 decibel limit acceptable? Should special zones be created in Vancouver with special rules, to respect the residents of the most densely-populated communities ?Who is responsible to consider these issues? Public servants? Elected officials? Private companies and contractors? Community groups? Individuals? How can improvements be initiated? Where will they come from? As the West End nears the end of an official community planning process, residents of the West End may wish to push these issues onto the table. The community plan, once adopted is expected to have a life of about 30 years. If you have an opinion, write Mayor Gregor Robertson and City Council at mayorandcouncil@vancouver.ca.